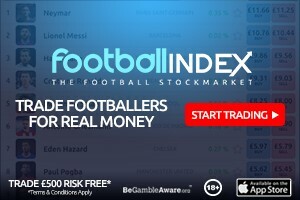 ATGS GW9 – 1 bookies anytime goalscoring odds for the player. It assumes they start and doesn’t include assist potential. They aren’t available as yet and I’ll fill them in later. Player values are as of Friday 12th October. Aguero remains tops despite some minutes issues relating to a foot complaint. He’s effective enough when on the pitch and the fixtures are good to hold that place. 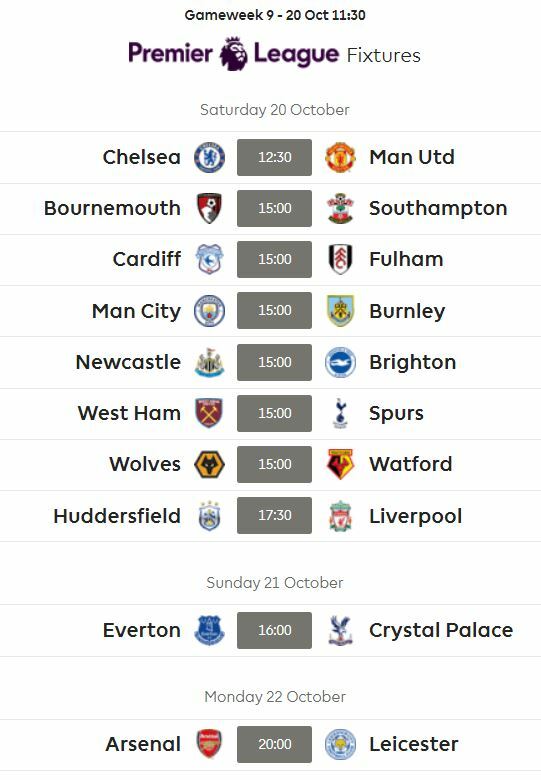 Firmino’s boost relates alot to some good fixtures. Giroud has some good fixtures and has reasonably good underlying stats. He has a case of the 17/18 Richarlisons at the moment but history shows him to be a good finisher despite what we’ve seen recently and at the World Cup. That history has mitigated the current position and helped with his ranking. I’ve assumed Arnautovic will continue with penalties which is questionable considering Noble said he gifted one to him as a one off for confidence. 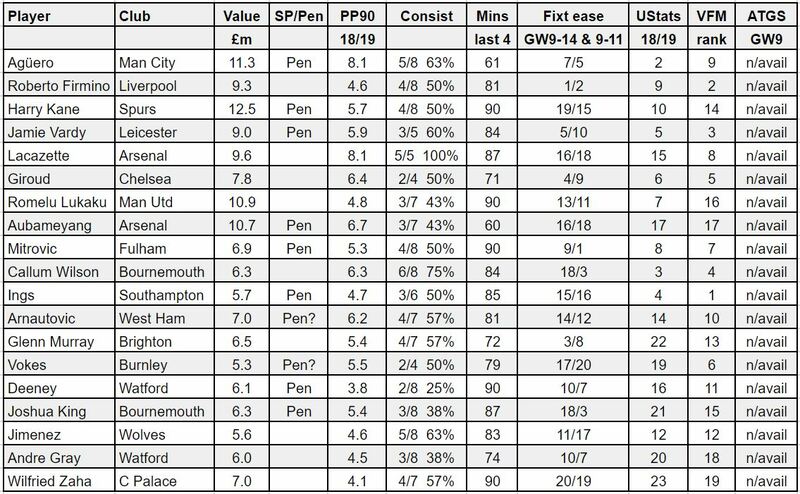 Despite that he’s still quite lowly ranked and that’s down to some minutes issues this season, a history of slightly under performing his underlying stats and a couple of tricky fixtures coming up. Even for Unai Emery the team sheet against Fulham was something to behold so who knows when and where Aubameyang will play. I’ve assumed he’s going to play on the left but will have pens and his minutes will be mixed. Why anyone would play him there and not give him 90 minutes given he such a rolls royce player is beyond me but there you are. I’ve assumed Murray won’t take pens and that Gross will. Vokes I’ve assumed will be the Burnley penalty taker. King I’ve ranked fairly low. Essentially his underlying stats when you strip out penalties are terrible (Alonso’s shooting stats are better) . It’s worth noting that 3 of his 4 goals have been penalties. Despite what Howe said about his players speed contributing to the penalty count last season they scored 3. If King were to continue as he is he would score 14. The most any team got last season was 10. Jimenez was ranked quite low. That’s mainly because history shows him under performing his underlying stats. Kane scares me v West Ham. I can’t see any way he plays deep in this fixture due to the personal nature of the game. I hope I’m wrong but I think he’s in for a heavy score. Gut feeling tell me Firmino will show up thanks to easier Liverpool’s runs from now on! Can’t decide. Which option should I go with?